Today we’re celebrating International Hummus Day! 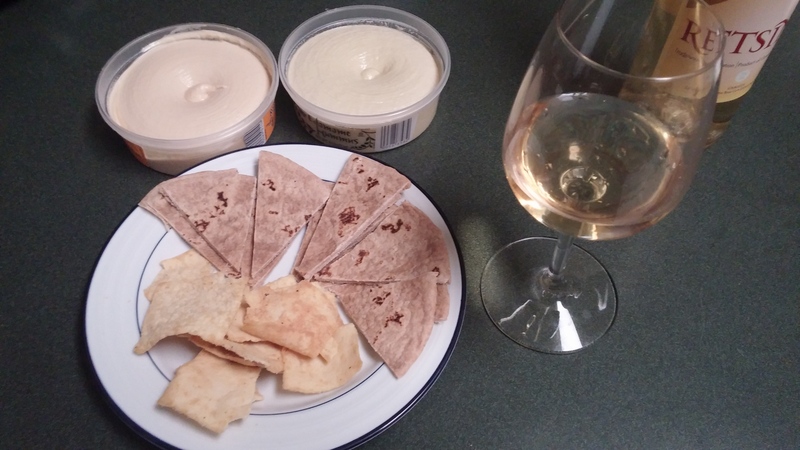 It seems that only recently hummus has blown up in popularity all around the world. It used to be we found it only in restaurants as an appetizer, in International markets, and maybe a few flavors here and there at select grocery stores. Now it’s everywhere. There are flavors that were once only imagined, and have now come to fruition. Finding a wine to pair with our meal was a bit daunting. But once again, thanks to the awesome staff at Wine World of Abingdon, MD for their assistance. The flavors chosen for this review were a Roasted Garlic and an Edamame. The latter I’ve only discovered recently. And it’s so yummy. 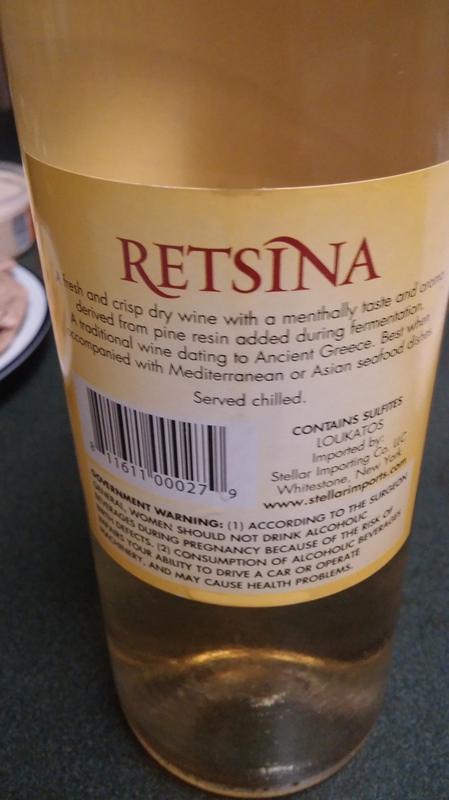 So with the spicier offerings in mind and without further adieu, the wine selected was the Retsina from Greece. It’s not a wine I’ve sipped too often. I recall trying these at Greek Festivals in the Maryland and Washington, DC area. This is an acquired taste. Honestly, I couldn’t finish my glass. It’s not something I’m used to. Maybe in time, it will be a glass I will learn to appreciate with Greek appetizers and the right vibe or environment. But, in this case, it wasn’t for me. When I uncorked the bottle, the nose was really strange. I’m not sure what I was smelling. It wasn’t the most pleasing. However, the golden color does have a charm to it. In many instances, I like to try wines, without knowing ahead of time what fruits, flavors, or spices are included. This was no exception. What I tasted was very earth like. But not in that earthy tones term that people like to throw out there It tasted like nature. It had a familiar taste of Spring. It was like something I recall in my backyard when I was a kid. Then I did my research and saw that taste was the pine-tree resin. In the meanwhile, I celebrated hummus yesterday and will continue today. 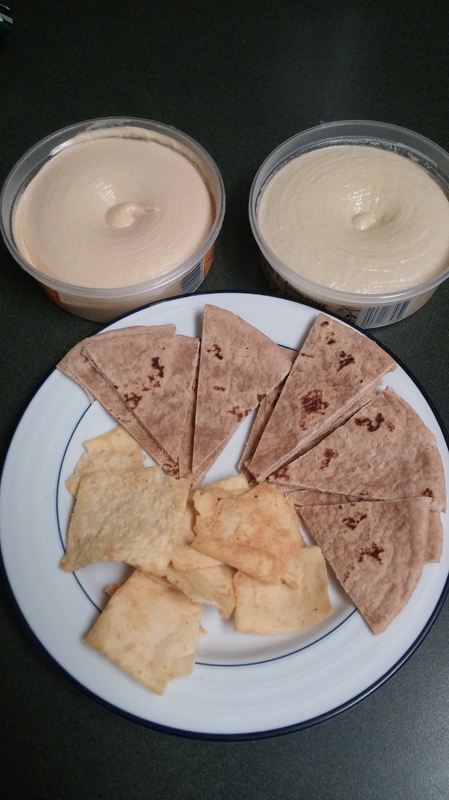 Here we have some whole wheat pita triangles and pita chips thrown in, to dip and delight. 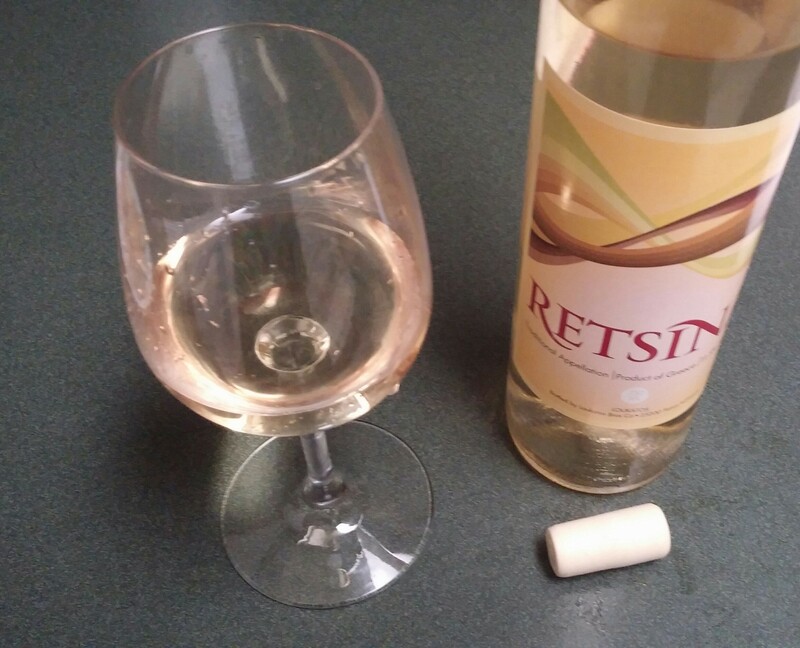 Retsina, WOW haven’t heard about that wine for a long time – an acquired taste for sure but does grow on you after a few sips.